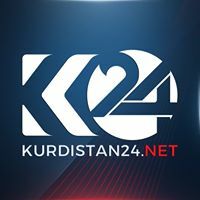 News TV Channel / Kurdistan24 is an Iraqi Kurdish broadcast news station funded by Masrour Barzani, a son of Kurdistan Region President Masoud Barzani. It is based based in Erbil. with foreign bureaus in Washington, DC and Cologne, Germany. The service was launched on October 31, 2015, with television programs being broadcast in the Sorani and Kurmanji dialects of Kurdish, as well as in English and Turkish. According to the Kurdish MP Soran Omar, K24 was very likely founded by Masrour Barzani to elevate himself to succeed his father, President Masoud Barzani, and to counter Prime Minister Nechirvan Barzani’s Rudaw "propaganda machine". Turkey has removed three television channels based in northern Iraq, including Kurdish news agency Kurdistan24, from its TurkSat satellite over broadcasting violations during the Kurdish Regional Government's referendum.